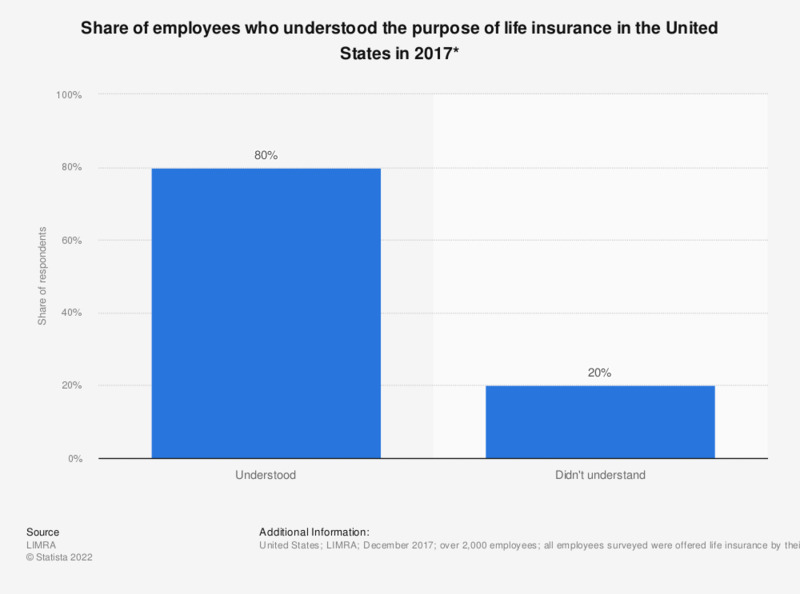 This statistic shows the share of employees who understood the purpose of life insurance in the United States in 2017. In that survey, 80 percent of the respondents understood that life insurance is appropriate for anyone who wants to leave money to their spouse or dependents upon their death. *The survey asked if the respondents understood that "life insurance is appropriate for anyone who wants to leave money to their spouse or dependents upon their death."